United States Sports Academy Trustee and long-time University of Tennessee Director of Women’s Athletics Joan Cronan is the featured speaker for the Brentwood-Franklin, Tenn., Woman’s Service Club’s annual fundraising event on Tuesday, 2 May 2017. 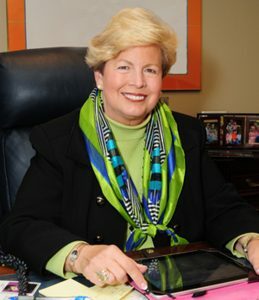 United States Sports Academy Trustee and long-time University of Tennessee Director of Women’s Athletics Joan Cronan is the featured speaker for the Brentwood-Franklin, Tenn., Woman’s Service Club’s annual “Step Up, It’s a Charity Affair” fundraising event on Tuesday, 2 May 2017. The event will begin at 10:30 a.m. at the Brentwood Country Club, located at 5123 Country Club Drive. The fundraiser will also feature the announcement of the Woman’s Club’s Woman of the Year. Tickets can be purchased here.